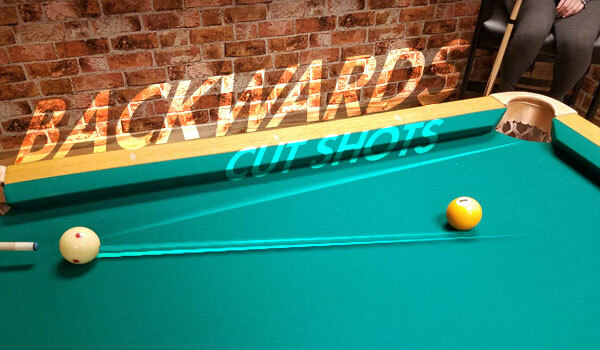 Backward cut shots are one of the more difficult shots to execute on a pool table. The problem with backward cuts is that the pocket you are going for is not in your normal line of sight and the aiming line has your stick is pointing out into space. These shots come up all the time in straight pool breaks and you usually blow the stack open which puts a lot of pressure on you to make that shot. A miss here could cost you the match! I am going to show you an old-school trick to aim at backward cut shots that should help you improve your percentages with this difficult shot. I actually learned this aiming system in the early 60's from an old time scuffler, Bobby Bennett, who was the worlds best at crossword puzzles and quite a pool player. The thing to note with aiming systems is that they work as long as you put a good swing on the cue ball. If you jerk your stick back, open your bridge, jump up, or do some other funny business, that can cause you to miss. Don’t blame the system! To aim these shots, first draw a line from the face of the pocket to the cue ball. Next, walk over and line up the outside edge of the object ball at the equator to the intersection point of the first line on the front of the cue ball. Frank Says: "Pair this technique with the Ghost Ball Aim Trainer to really hone in on your shotmaking ability." 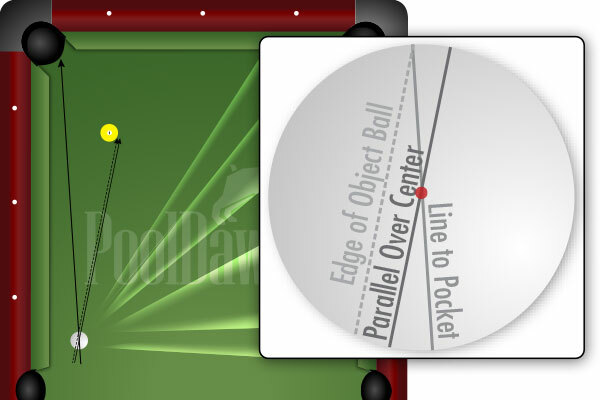 Finally, parallel this line over the center of the cue ball. This is your line of aim. I find it helpful to find a speck of chalk on the table or a point on the rail to use as a reference sight. Once you have this line, put your best stroke on the cue ball and keep your head still! Now, you might have to adjust your initial aiming line a little to allow for your perception of the shot, but once you find where you have to draw the line, you will start to swing at these shots with a definite line of aim and more confidence and accuracy! Don't thank me, thank the old time Depression Era hustlers who really did make a living at pool. They couldn't afford to miss.